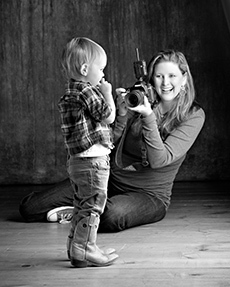 You’ll see a difference in your photos when you hire a Certified Professional Photographer. A CPP has gone above and beyond for training to consistently capture those once-in-a-lifetime moments. When you hire a CPP, you’ll know that you’re getting the professionalism and technical experience that you deserve. 1. What are the advantages of hiring a Certified Professional Photographer (CPP) versus a professional photographer? Certified Professional Photographers must pass a rigorous exam and Technical Image Evaluation. Not only does this demonstrate their strong technical abilities, but it also shows they have met a standard of proficiency in photography. Other professional photographers may be able to take decent photographs under the right conditions, but a CPP is skilled at capturing images under any condition! Consistency. CPPs know how to achieve great results—every time. You get a strong collection of images that tell your story, not just a few lucky snapshots, and you will work with someone who knows how to produce a quality image under any circumstance. Technical Skills. CPPs are more than picture takers. They are students of art, lighting, posing, fashion and even interior design. They combine these elements to create images that fit your unique style and become works of art you will treasure for generations. Professionalism. When you hire a CPP, you know you're getting someone who is willing to go the extra mile to deliver the best possible images. CPPs are business owners who thrive on customer service and satisfaction, and they continuously aim to produce products that exceed your expectations. These images are keepsakes whose stories you'll tell time and time again and treasure forever. 2. Should I pay more for a Certified Professional Photographer (CPP)? It’s not uncommon for CPPs to be priced higher than other photographers you might encounter. As with other certified professions like doctors, attorneys and CPAs, a higher price point goes along with a professional who has earned a designation or credential. When you hire a CPP who has been conferred by Professional Photographers of America (PPA), you’re ensuring that you’re hiring a photographer with substantial technical abilities. 3. Once you earn your CPP designation, do you have it forever or do you have to get recertified like other professionals? A Certified Professional Photographer must renew their designation every three years by completing 15 continuing education units or re-taking the CPP exam. Continuing education is essential for a professional photographer to keep up with changes in technology, best business practices, and industry standards and trends. 4. What did you have to do to become a Certified Professional Photographer (CPP)? A CPP should be proud to tell you how he or she achieved this distinguished designation. To become a CPP, a photographer must first pass a comprehensive exam on technical photographic topics like lighting, posing, post-production, and more. A minimum score of 70 out of 100 is required to pass the exam. After passing the exam, the photographer will submit images for the Technical Image Evaluation. The evaluation process will demonstrate an understanding of key photographic concepts including; depth of field, camera angle, exposure, lens compression, white balance, light sources and file handling criteria. All images will be evaluated on pre-set elements including; cropping, focus, sharpness, lighting, camera angle and white balance. 5. What's your background and credentials? Where did you get your photography training? What other professional photographic associations do you belong to? What photography degrees do you have? Have you won any photographic competitions? If so, which ones and can you show me the winning photographs? PPA photographers abide to a strict code of ethics and have unique skills and training in the artistry and technology of creating beautiful images that reflect exactly the images you want to portray. 6. Do you have insurance? If the answer is “yes,” ask as many questions as you like to determine if the relationship is right for you. If the answer is “no,” however, do not pass go! Simply find another photographer. What happens if you hire a friend of a friend and he trips, injuring himself or breaking his brand new camera? When facing large medical bills, people sue easily! You need to be protected. 7. How many events like this do you photograph in a year? While it’s okay to hire a generalist rather than a specialist, make sure the photographer has experience with your type of event. If it’s a large event like a wedding, you want to know how much wedding experience your photographer has. Why? Amateurs may become frustrated or anxious when dealing with fluctuating emotions. They might also get caught in the moment instead of capturing it on camera or they might be unprepared for rainy days. A professional photographer will stay calm and help you remain calm, no matter what situation pops up! They know they can give you the images you want no matter what happens. 8. What format do you use when taking photos? Camera settings and file type are very important to the quality of images you will get. The only acceptable format is in RAW. If a photographer tells you they use jpg settings, he or she is limited in the extent of their post-production editing which will impact the quality of your photos. What program will they use to create your album? Will they design the album without templates or will they rely on cookie cutter templates? Choose a photographer that has experience and talent in editing photos — and choose one that uses only top-of-the-line programs like Photoshop CS5. 9. Do you have backup equipment and photographers? You’ve spent months planning your wedding and now this once-in-a-lifetime moment may be gone forever because your photographer gets in an accident or doesn’t show up. What do you do? If you’ve hired a pro, he or she will have a list of trusted and experienced colleagues they will call to ensure your photo expectations are met regardless and that your event is photographed properly. That’s why it’s so important to ask prospective photographers what their backup plan is in case “something happens”. While it may be cheaper to hire someone who does this on the side or a family member, you risk not getting any guarantee of the quality of images and losing your day forever should their equipment fail. Because memory cards do fail. Lenses do break and batteries do, unfortunately, die. All at the wrong time! A professional photographer will always show up early with one or two backup cameras, lenses or flashes and additional lighting equipment. Well-connected and experienced PPA photographers will always have contingency plans and backup equipment. Most of the time, things actually do happen in the background that photographers handle without anyone noticing, things like camera swaps, flash changes and extra lights. 10. Do you provide a written contract? A contract protects both you and the photographer and it’s a must-have for larger events. It should spell out the expectations for you and the photographer so that everyone knows what to expect. How will the photographer ensure your satisfaction? What are their backup plans in the event they’re late or called away by an emergency? What happens if there’s equipment failure or some other unforeseen issue? While it is common practice for smaller photography projects to take place without the signature of a contract, it should be your first big red flag for a larger event like a wedding or bar mitzvah.